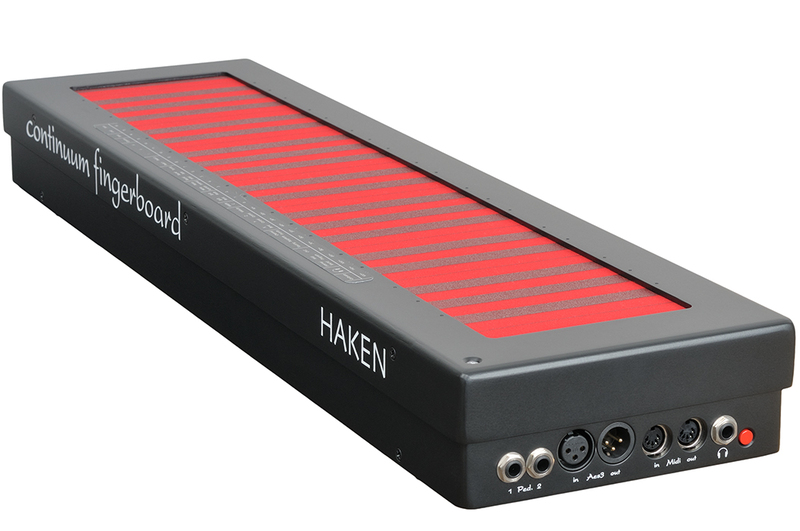 The Haken Audio Continuum Controller is a three-dimensional midicontroller with integrated sound generation. With this instrument, polyphonic sliding sounds can be played dynamically by pressure and in vertical position. 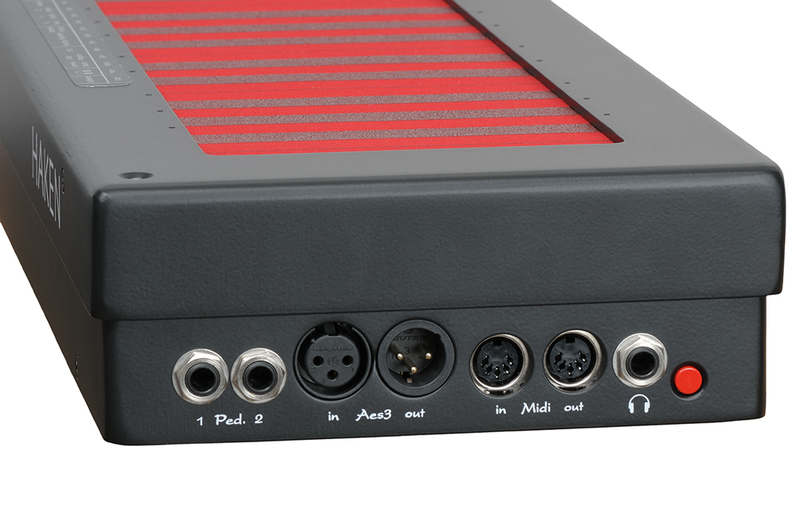 Internally Continuum has a synthesizer with atmospheric and powerful sounds. 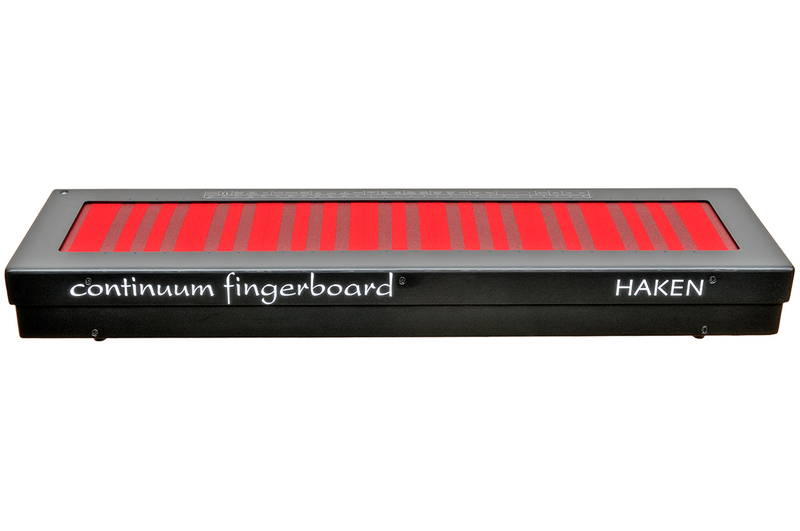 The fingerboard simultaneously processes data on the X, Y and Z axes for one to a maximum of 16 fingers. X (left to right) transmits the pitch for each individual note. This parameter can range from light vibrato to dramatic note intervals across the entire playing surface. One inch on the X axis corresponds to a range of 184 cents (73 cents per cm). 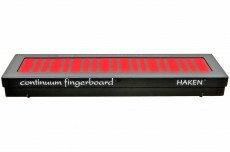 The complete tone range of the Halfsize Continuum Fingerboard corresponds to almost 4 octaves. Each finger contact on the playing area generates Y value (up/down) and Z (pressure) for the touch dynamics.